Posted on January 2, 2015 by Mandy	in Finds, FyndIt and tagged Action Figures, Collectibles, Collectiing, Comics, Find, Finding Stuff, Finds, gifts, Looking For Something, Statues, Want, Want Something, Wants. FyndIt is a unique online service that allows people from all over the world the ability to earn money finding stuff for others. Perhaps you are an internet sleuth or have the 4-1-1 on local shops in your area. If you know where to find stuff, you can earn bounty rewards posting stuff that people want on FyndIt. Here’s how it works, someone wants something, but they are having a really hard time locating it, so they post it as a Want to FyndIt. They offer a description of the item, the condition they want it in and the price they are willing to pay for it. As an incentive to entice others to help look for their item, Wanters will post a bounty reward. The reward could be anywhere from $1.00 to $5.00 to $25.00 or more! Bounty rewards are easily cashed out through PayPal. A Finder is someone who goes out looking for the Want either online or in a store. Once they locate the item, they post a photo and details about the item as a Find. The Wanter reviews the Find and if it is what they are looking for they will accept it as a match. When a match is made the bounty reward amount is transferred to the Finders account, and the secret location of the item is revealed to the Wanter. The Wanter then contacts the seller of the item and purchases it directly from them. Tip #1: Do not divulge your Find’s location! You want to keep it a secret so that you can earn that bounty reward. So, if you copy and paste an online link make sure to remove any language referencing where you got it from. For example, a link copied from eBay might make a reference to an “Auction” or “eBay store name”. Make sure to edit the auto-generated description. Don’t paste any links directly into the description box! They will show up on your Find’s page. So, if you want to physically enter an item’s location on the maps plus add an online link, you can paste the link under the “More Details>Additional notes on the location of the item” section. Any text you put in this box will only be revealed if the Wanter accepts the match. Tip #2: A picture is worth a thousand words. It is super important for someone to be able to see the item! We’ve added the ability to add multiple photos, so add images from as many angles as possible. Tip #3 Make sure to add the cost & shipping price. Include how much the item costs in addition to the shipping amount if possible. If you can’t figure out the shipping, make sure to specify in your Find that the shipping cost is not included. Click on the “More Details” drop down menu to add in a category for the item and other important details. The more a person knows about the item, the more likely they are to accept it as a match. Just because a Wanter rejects your Find does not mean that there isn’t a better one out there! Keep looking and keep posting Finds. Making money at FyndIt is easy! All you have to do is create an account, verify your email and you are on your way to finding and posting stuff people want. If someone accepts your Find as a match, you’re golden! Those bounty rewards really add up after a while. Try your hand at finding something! Browse the Wants. Posted on November 7, 2014 by Mandy	in FyndIt and tagged Collectibles, Collecting, Collector, Comic Books, Comics, Earn Money, Find, Finds, FyndIt, Make Money, Memorabilia, Want, Wants, Work From Home. FyndIt is a site that helps connect people who want stuff with the people who know where to find it. We bring people together to assist each other in locating rare and elusive collectibles and memorabilia online and in stores. 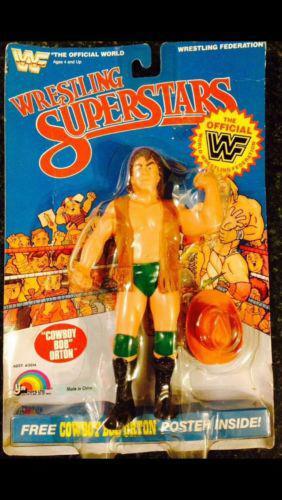 When someone is looking for a hard-to-find collectible, they list it as a Want on our website. What is a Want? Well…it’s exactly just that! Something that someone wants, but just can’t seem to find. Once an item is listed as a Want on FyndIt, our community of Finders search all over the world for it. Why would they help a stranger find stuff? Because they get paid for it! Each Want offers up a bounty reward to the person who can find the item. Bounties can be anywhere from $1 to $5 to $20 or more! If you come across a Want online or in a store, post it as a Find and if your item is accepted as a match, you’ll earn money! FyndIt bounty rewards can easily be cashed out through your PayPal account. Check out the most recent Wants listed on FyndIt and see if you can track down any of the comics or collectibles wanted by our members. There are several listed with $10 bounty rewards. If you were able to find even just a handful of items, your rewards would stack up pretty quick! It’s super easy to sign up with FyndIt! Membership is free. Create an account, verify your email and get started finding stuff for money! Check out or FAQs for more information on how FyndIt works. Posted on August 23, 2014 by Mandy	in FyndIt, Toys, Uncategorized and tagged Dancing Baby Groot, FyndIt, Groot, Guardians of the Galaxy, Marvel. Since the release of Marvel’s Guardians of the Galaxy a few weeks ago, everyone is talking about the show-stealing dancing baby Groot who melted all of our hearts by shaking his leaves and getting a grove on to the Jackson 5. Since his movie debut, calls for a dancing baby Groot toy have been all over the internet. People have posted DIY tutorials and crochet patterns to create this tiny bundle of cuteness. As a result, those battery-operated dancing sunflowers from the 1990’s have been in great demand to use as a base and are now really hard to find. 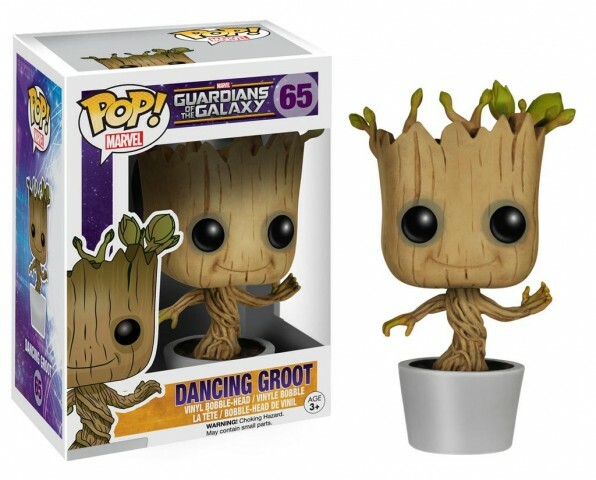 Luckily for those of us who are not crafty enough to build our own dancing baby Groot, Marvel and Funko have teamed up to release a Guardians of the Galaxy vinyl bobble head. Details of it’s release date will be available later this week. How many bobble heads will you covet? We have a feeling this one is going to sell out fast! Now that Marvel has come out with a dancing vinyl bobble head, our demands grow for a dancing baby Groot Halloween costume!